Glaser Business Law | Selling Your Company? Do Not Give Any Information Until You Have Considered This. You walk out of a meeting with the CEO of ACME Co. after he offers to buy your business for an obscene amount. Shaking your hand, he mentions that his people will be in touch to start due diligence, and casually asks that if it wouldn’t be too much of a problem, could he get a copy of your income statements and a current AR aging report so he can get comfortable with the price he is offering and explain the economics of the deal to his Board. Given that you don’t want to give him any reason to reconsider, you get the information while he waits for his car. The next day, you get an email from the CEO saying that although it isn’t a huge problem, he really needs a bit more detail on your pricing and expenses – he needs to drill down to find more margin. You go to bookkeeping, they run the report and you forward it to the CEO. A couple of days go by and no reply from the CEO. His assistant tells you he is in meetings, so you figure he is busy. Your VP of Sales shows up on your doorstep with a big problem – your largest customer just called to tell him that they were changing suppliers at the end of the month – they found better pricing. Your first thought is how this will impact the proposed sale to ACME, that is, until your VP says that he was surprised by the customer’s decision because he didn’t think ACME was competing in your market. It hits you – you gave ACME access to your pricing, your margins and, worse yet, your customer list. Panic sets in and it gets worse when you see the email from the CEO of ACME thanking you for your time and regretting to tell you that your business doesn’t fit into their long range plans. Once you catch your breath, you call your attorney – you were going to call him, but it seemed a bit premature. His first question rattles you – he asks for the Non-Disclosure Agreement ACME signed. You tell him that you thought that came later, during due diligence. He asks what you sent to ACME and he sighs audibly when you answer – you know that can’t be good. Your attorney explains that, although you may have some remedies against ACME, it will be an expensive and uncertain process – and, from a business perspective, the horse has left the barn – ACME has your pricing info, your customer list and they are using it to poach your customers. You can argue that the information is confidential and a trade secret, but you didn’t mark the reports or tell the CEO that it was confidential. Your attorney says that he will have to talk to one of the litigators to determine whether you can obtain an injunction to preclude ACME from using the information – and that you need to clear your calendar – which will be next to impossible because you know that you have to set up meetings with each of your customers. This scenario is a bit of an exaggeration, but it is based in reality – and you need to be prepared to avoid such a disaster. The first rule when selling a business is not to give any information to a prospective buyer that isn’t already publicly available – in fact, this extends to just about any party involved in the sale of your business, whether it be an investment banker, a business broker or a M&A consultant. Any professional you engage will usually volunteer to keep your information confidential as part of the engagement and some are required to keep it confidential even without an agreement – such as your attorney. However, any third party that is not employed by you or acting as your agent should not be given any information without first signing a Non-Disclosure or Confidentiality Agreement. 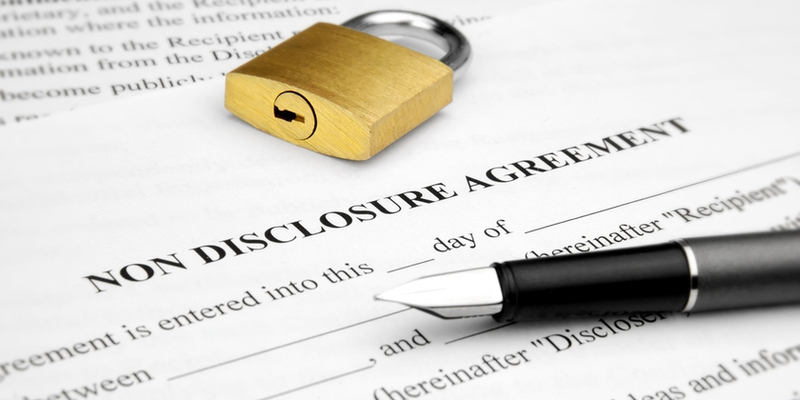 In the absence of a Non-Disclosure Agreement, you cannot rely on a significant measure of protection with respect to information you disclose, even if you think it is obviously confidential. Third parties have limited duties to you with respect to the information you provide them (a discussion of which will be saved for another time), and, as a result, the best way to protect your information from being used against you is to get a comprehensive Non-Disclosure Agreement prior to disclosing any information. Non-solicitation – of your customers, your vendors, your employees. The recipient should agree that they will not use the information you provide to solicit any of those parties to your detriment. Of course, these are only a few of the provisions that may apply to your situation – so please make sure to discuss your particular circumstances with your attorney. This publication is intended to provide general information. It is not, and should not be construed to be, legal advice or an opinion on specific situations. You should consult with legal counsel before taking action to ensure its applicability to your particular situation.